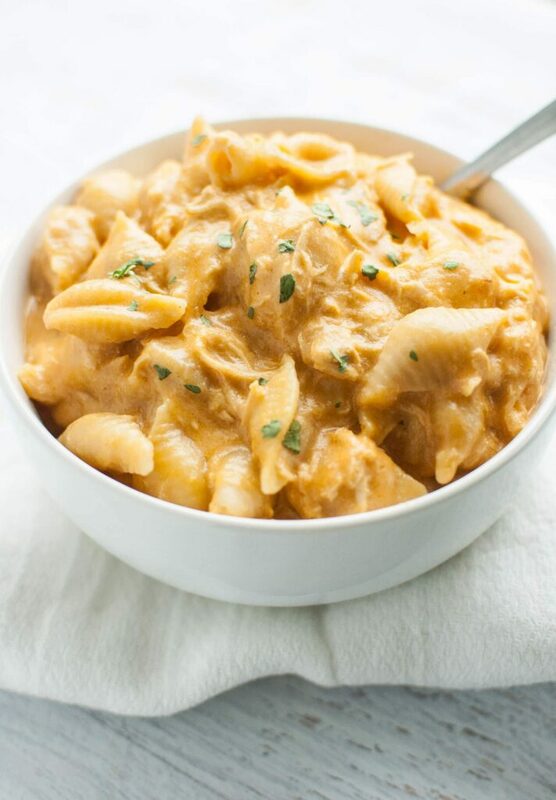 When you are ready for a seriously delicious and grown up version of a classic comfort food, then it’s time to give this Slow Cooker Buffalo Chicken Mac and Cheese a try! Simple, easy and indulgently delicious! A chill in the air = time for some serious comfort food. Agreed? 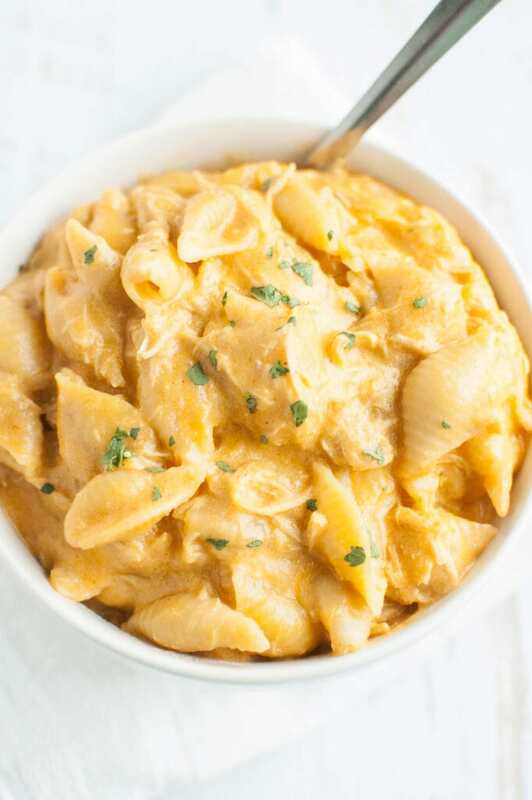 Good because I have a mac and cheese for you that is all about rich, delicious and comforting. And buffalo sauce. Because we wouldn’t want boring old mac and cheese, now would we?! Super simple to make and totally homemade with a from scratch cheese sauce… who could refuse a serving or three?! 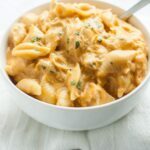 Use your slow cooker to make easy work of this wholesome Slow Cooker Buffalo Chicken Mac and Cheese that everyone will love. The answer is… oh yes! Of course, I had to use shells pasta shapes because I wanted, no I needed, all the little pockets to be able to hold all of the cheese. Cheese to pasta ratio is an important consideration, I think, when it comes to good mac and cheese. I’m gonna give you a little trade-off here in the time it takes to make this meal. You’re going to save some time by tossing the pasta right in the crock. But, I’m gonna tell you to take a few minutes to make a from scratch cheese sauce because it’s worth it. Really. Perfect with a tossed green salad or quickly shoveled straight from the crock to your mouth. Time to put away the shorts and tanks and dig out the sweatpants. And eat the comfort food. All of it. 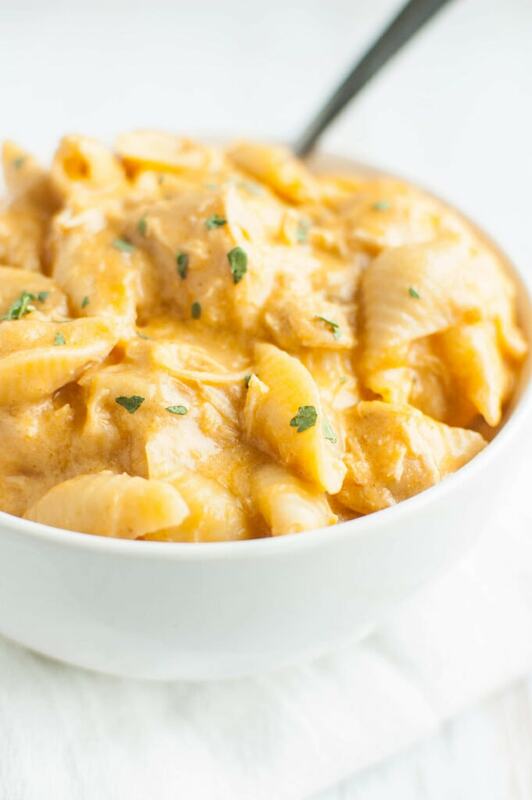 When you are ready for a seriously delicious and grown up version of a classic comfort food, then it's time to give this Slow Cooker Buffalo Chicken Mac and Cheese a try! Simple, easy and indulgently delicious! Was thinking about trying this for a company potluck. Problem is we do not have a stove top to use for the cheese sauce during the day. Have you ever made the cheese sauce up prior and keep it refrigerated until needing to add it in. Trying to figure out how to make the cheese sauce work in this situation. Yes, I think you could make up the cheese sauce ahead of time and keep it refrigerated. Then microwave and add to slow cooker. I’m dealing with that exact thing. Did you try it? How did it go? How well would this reheat after being frozen? I want to freeze this and reheat when camping. I’m afraid to say it, but I think it would be pretty iffy. I’m worried it would be soggy and the cheese would separate. We gave it a shot this weekend and it actually came out pretty good. We added a little water and more buffalo sauce to the pot as it was heating up and it was still a fan favorite. Thank you! Can you make this without chicken? Would you add the spices to the cheese sauce? And then just add it to cooked noodles? Hi Jordan! 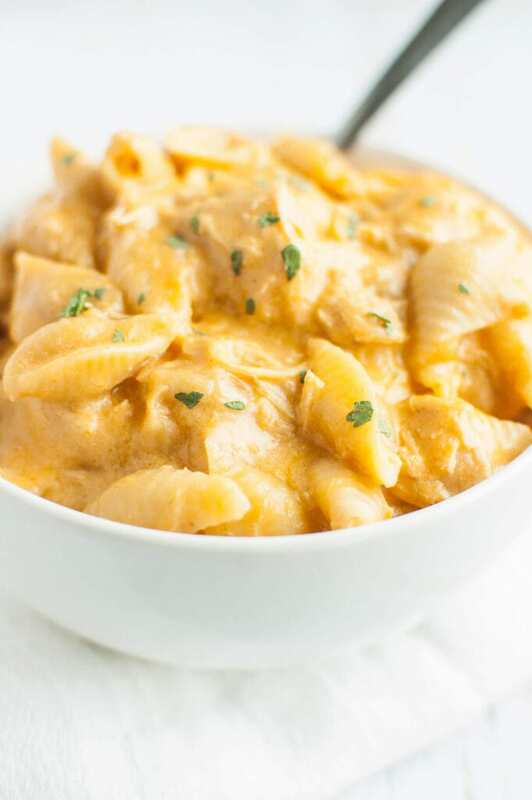 To make it without the chicken I would skip the slow cooker and just cooker the noodles as you usually would on the stove. 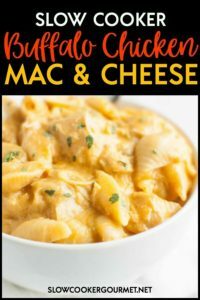 Make the cheese sauce per the recipe and just toss! Just made this for a potluck tomorrow. God bless is it good. Needless to say I’m eating it right now instead of waiting till the potluck. It might be a little clumpy, Kelsey. Maybe a fork? Is there a way to convert this recipe into a stove top one? I have made this before in a slow cooker but as I am in college now I do not have one. yes, it certainly can. I would just use leftover shredded chicken and then cook pasta as you normally would and drain. Make the cheese sauce and combine!